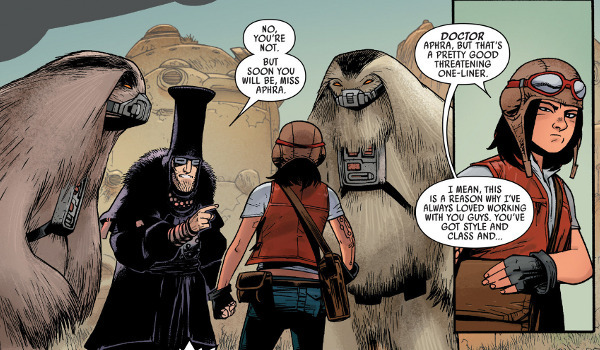 Along with the main story, which (to be fair) does include a pair of murders by Aphra and her droids, the fist comic also features a back-up tale involving Aphra's time in school and what lengths she went to get her doctorate (which is now suspended). It appears these events will play a large role in Aphra's current predicament which will also force the scientist to come to terms with her disapproving father. For fans.